Welcome to the TVR Chimaera Pages! Thanks for visiting! 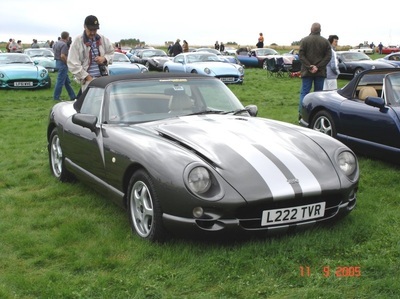 This site is run by the TVR Car Club and dedicated to the ownership and maintenance of the TVR Chimaera, possibly one of the most successful models of loud and proud Rover V8 engined sports cars to come out of the Blackpool factory. 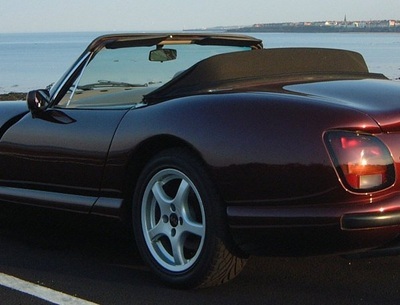 The TVR Chimaera first appeared in 1993 and it was intended to be more of a GT car than its sibling the TVR Griffith. Although it shares much of the chassis and mechanicals it features a larger boot and originally a slightly softer suspension setup. 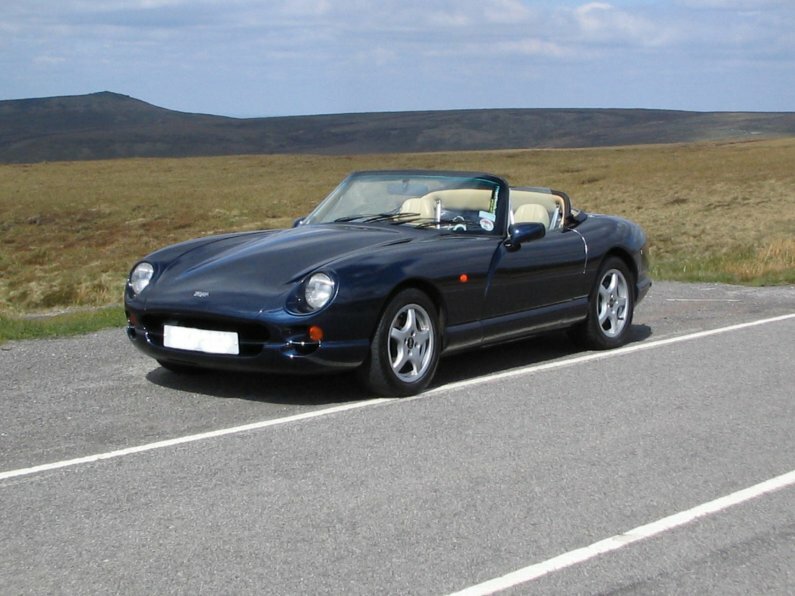 Both models use a Rover V8 engine ranging in size from 4.0 to 5.0 litre, providing hair raising levels of power and acceleration. In 1994 both the Chimaera and Griffith 500 switched to a Borg Warner T5 gearbox (the previous unit coming from a Rover SD1). 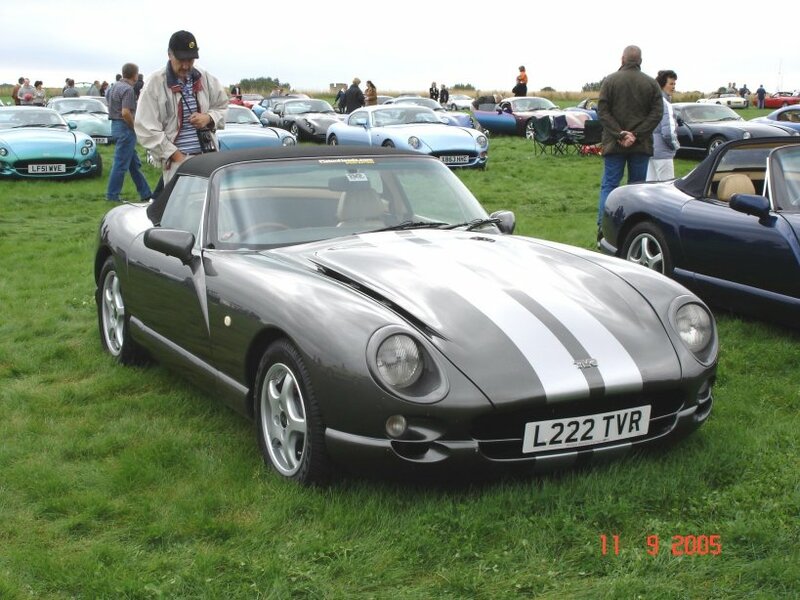 Shortly after that the TVR Chimaera 500 was launched. Then in 1996 the Chimaera received a minor facelift, the front end becoming more like that of the Cerbera. The mesh grille was removed and a horizontal split added across the grille space and indicator. 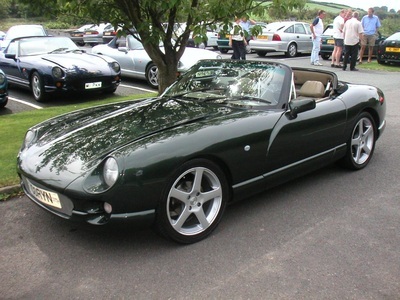 In 2001 the Chimaera was given Griff style covered headlights. 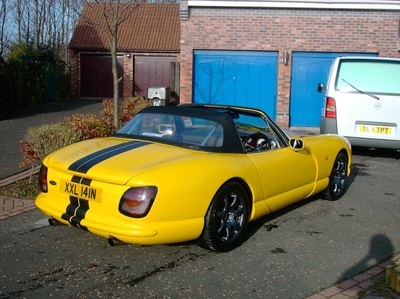 In around 1997-1998 the rear lights changed from a parts bin Fiesta unit to a TVR designed part.